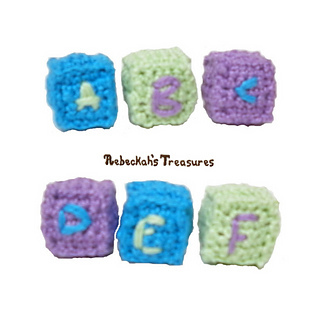 These little abc blocks can be crocheted really quickly. 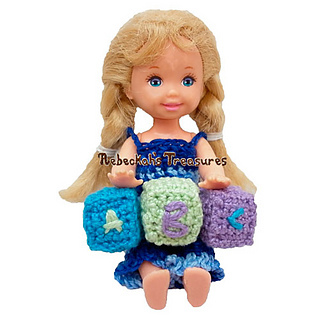 Plus, they make for a perfect learning tool for Kelly, Tommy, and Nikki! They were designed for Barbie Dolls. They are about 1 cm in width, length and height. Note: All these parts are available for free on the blog, but the PDF Version – $1.50, includes ALL 3 Parts and can purchased up in the right where it says “e-book”.